(especially three and under) anything with small parts that may cause choking. See our Policy and Produres for further Common Sense Warnings. 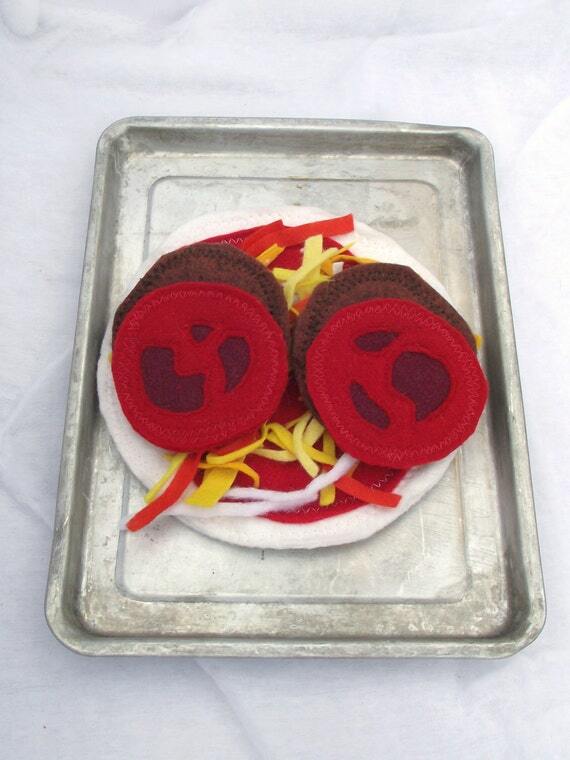 This is a fun pizza for children to play with. 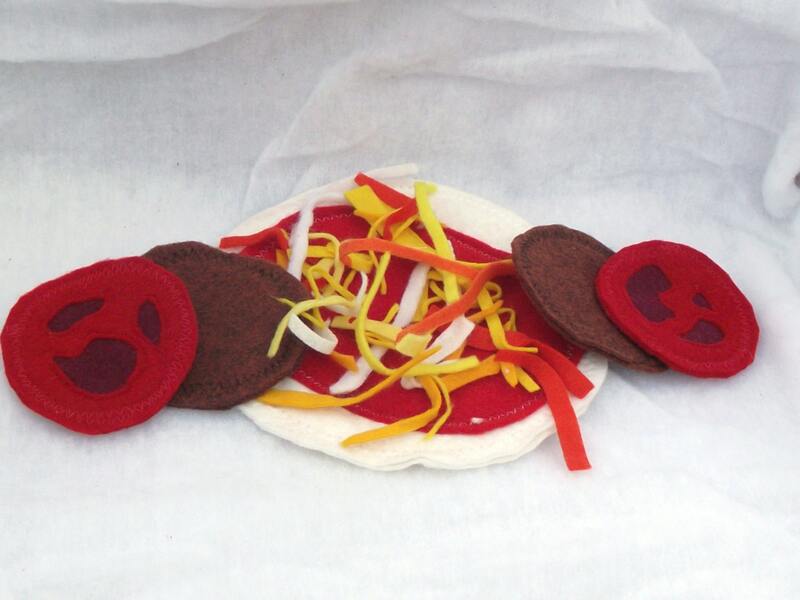 Kids just love making and remaking pizza’s for you. This can be hours of fun for children. This comes with white or wheat crust with pizza sauce on it. You also have a your choice of Canadian Bacon or Pepperoni ( or veggie Canadian Bacon or Veggie Pepperoni). Every set comes with white and yellow shredded cheese and two tomatoes. This also comes with an unbleached thick Muslin Drawstring Bags/ Pouches that measure 8×12″ that comes with a rope drawsting in it. You will be able to keep all the parts of the pizza together in this cute bag and not have your kids loose all the parts of it after the first time they play with it. 1. Please specify if you want the Peperoni or Canadian Bacon (shown in the picture). 2. Please let me know if you want white or wheat crust. 1. Kids love it when you call them and order a pizza from them. They get to design, create and have fun making it. Then they deliver it to you when you call them and give them your address and phone number and then you can make the pizza and they call you practicing their phone number and address. 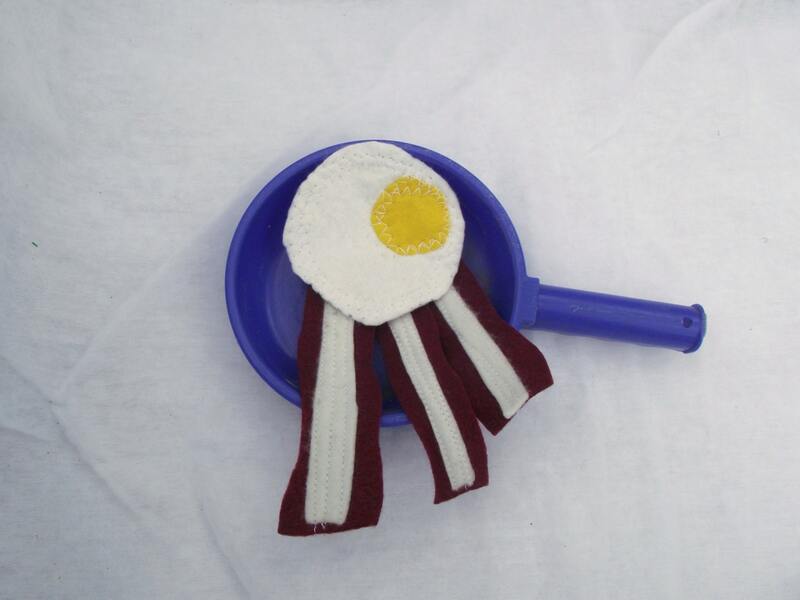 This listing is for the felt food only the pan is not included. If you do not contact me with three days then I will choose what items to send you. 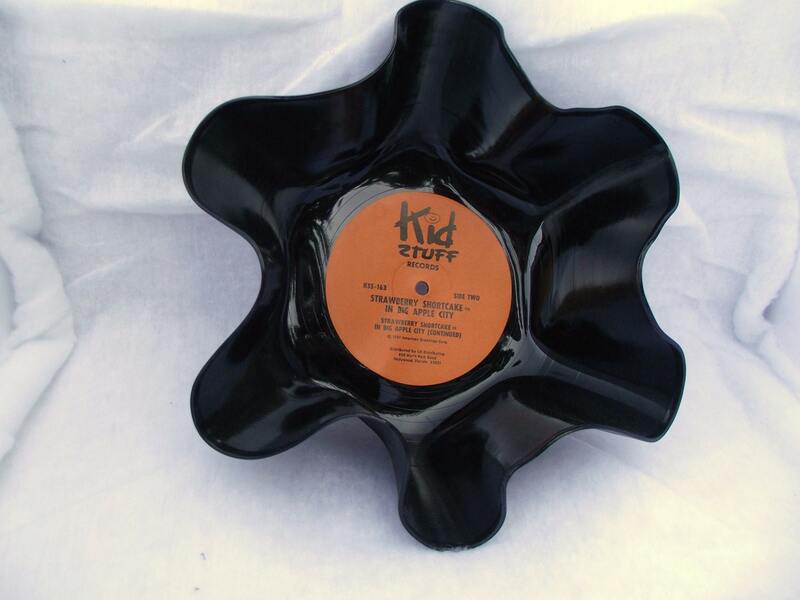 The item you receive will be similar to the one shown but not exactly since they are all individually made with love. Making a difference in the world is important to our company. We feel the best option is to reuse what we already have instead of creating more trash. 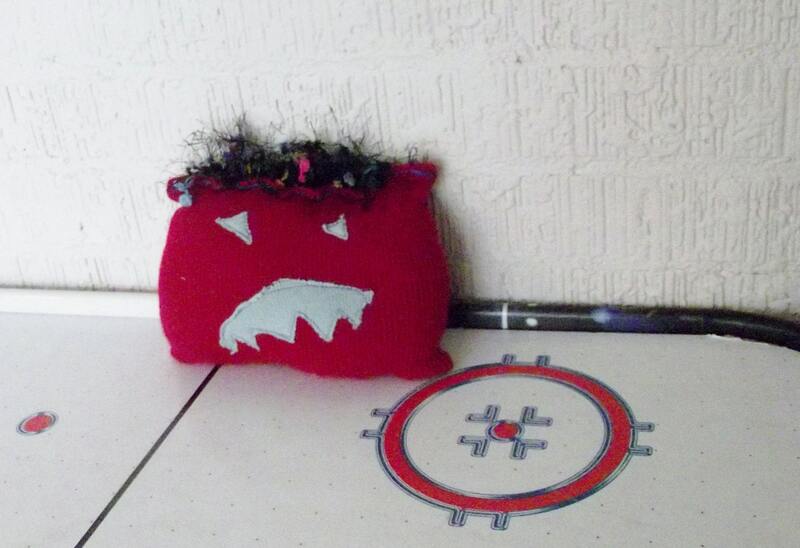 The felt is reused/recycled (yeah it did not end up in the trash!!) it has 100% all natural cotton filling in the middle of the pizza crust. The carring bag is reusable for other items or a safe place to keep your toys. The cost for this super cute set is $9.99. These are the cutest little sugar cookies. They come in a set of four cookies (listing is for cookies only). The ones shown have purple and pink frosting on them but you can decide on different colors that you like by using the Contact Us page your preference. They have no beads on them like some cookies do so there is no risk of choking on beads. Children will love to make you cookies and then pack them up for you to buy from them. They have so much fun with this little set. This cookie set has been updated so that the frosting is removable now. As a company we strongly believe in the reduce, reuse, recycle mantra. 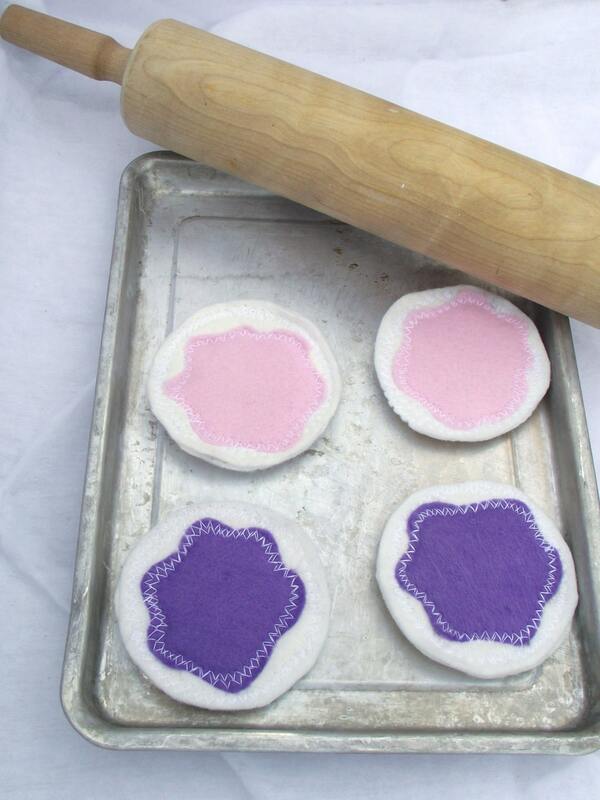 The cookies are made from reused felt. Hip Hip Horray it did not end up in the trash but is now a cute cookie for kids to love! This will come in a cloth bag for easy keeping track of your felt food. The little stuffing in the cookies is to give them a little puff look is from 100% all natural cotton. 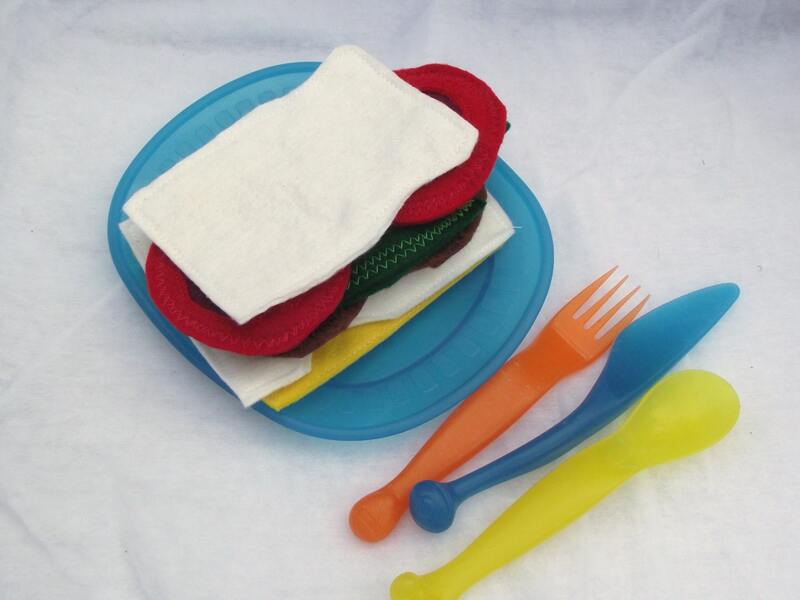 M & P felt presents…..Sandwich Picnic Set. 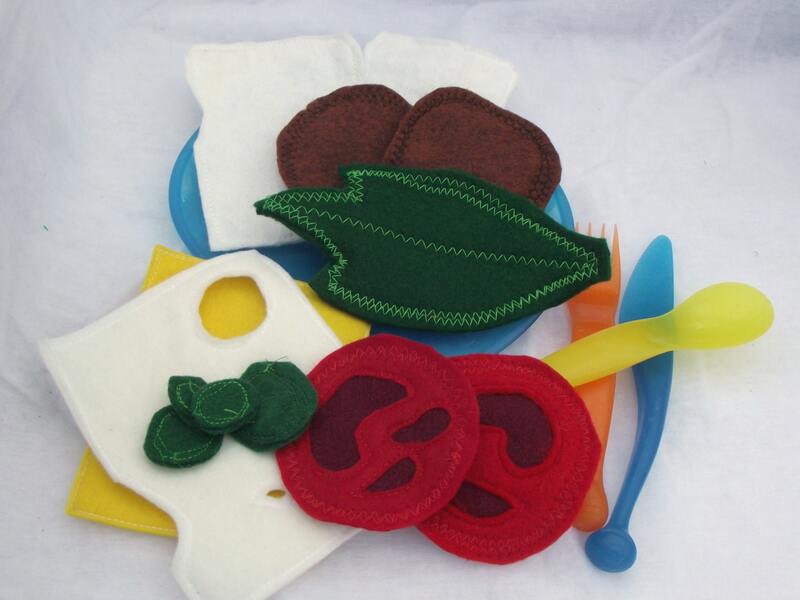 Kids have such a great time making a sandwich with these felt goodies. They come with white or wheat bread, two tomatoes, two pieces of meat or veggie meat, Swiss and Cheddar cheese, four pickles and a piece of lettuce. This is all put in their own little cloth bag for their picnic. Kids love, love, love to make this sandwich and carry it around in the bag and then put it all away when done playing. 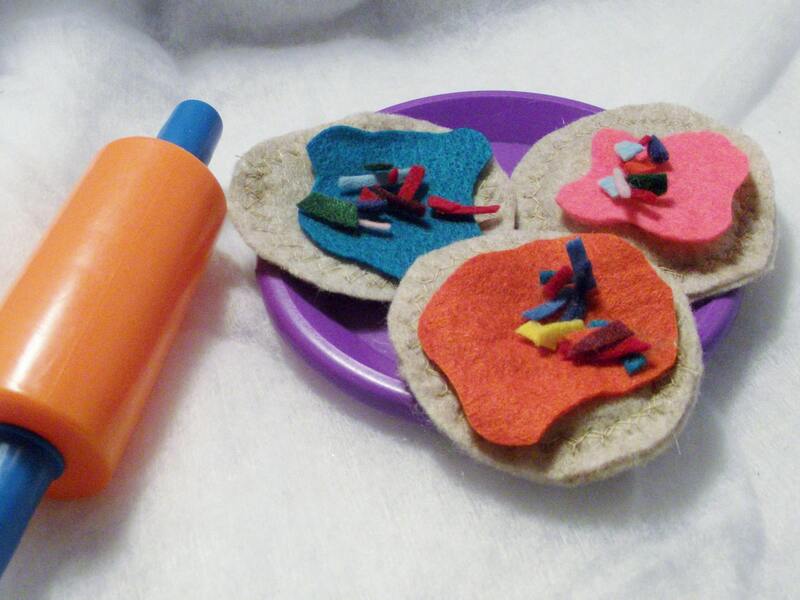 A fun Felt Sandwich Picnic Set made from recycled/reused felt. Yeah it did not end up in the trash! This listing is for the felt food only. These are so cute and fun for kids to play with. They will love making you breakfast with these all day long. You will receive one egg and three pieces of bacon (or veggie bacon). 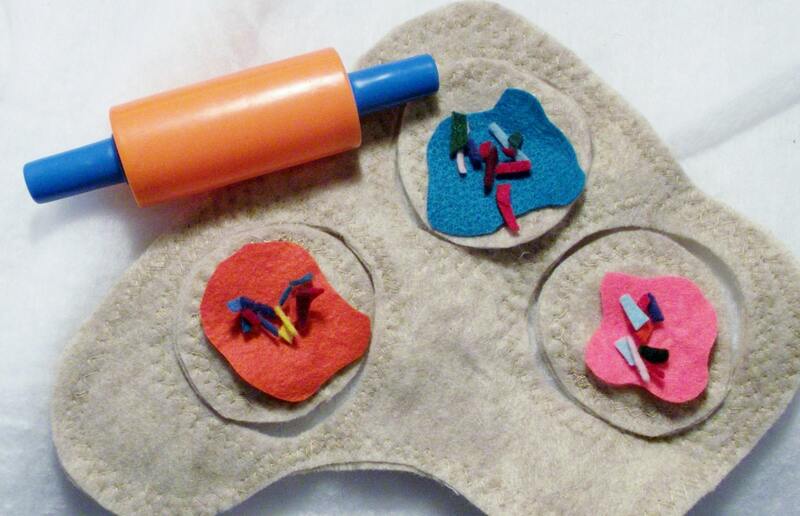 They are made with reused/recycled felt or felt made with plastic bottles (yeah it did not end up the land fill!!). They come in a cloth bag. The bag is a 4 1/2 x 6 1/2″ unbleached Muslin Drawstring that is 100% Cotton High Quality Culinary Grade . Kids can carry the bag around with them and makes cleaning up easy. Kids love to play and make these. This listing is for the felt food only. You will get a similar set but all items are individually made with love. This fun set comes with cookie dough ready to act like it was rolled out, 3 cookies, frosting and sprinkles to change around and play with. These are the cutest little sugar or wheat cookies. Children will love to make you cookies and then pack them up for you to buy from them. I have also double stitched around the cookies and the dough so it is ready for play. They have so much fun with this little set. This will come in a cloth bag for easy keeping track of your felt food. Please contact me and let me know if you want white or wheat cookies If you don’t contact me within 3 days then I will pick the color for you. 6 x 9 inch bag. This bag has a rope drawstring and easy to reuse. Kids love, love, love to make these cookies and carry it around in the bag and then put it all away when done playing. 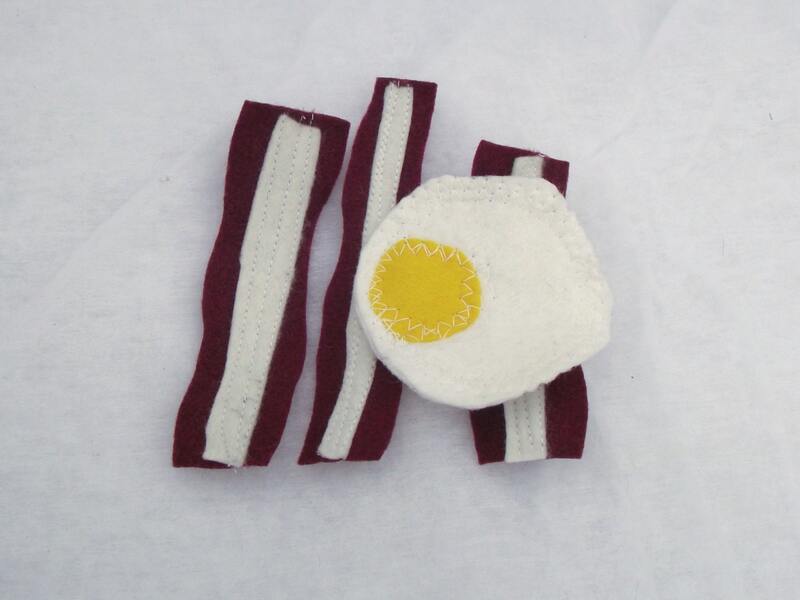 This set does come with small pieces of felt so please do not give this to anyone 3 and under or that would put items in their mouth as it may cause choking. Or take the sprinkles out of the package before you give it to anyone that puts things in their mouth. This is does not include the rolling pin or plates. 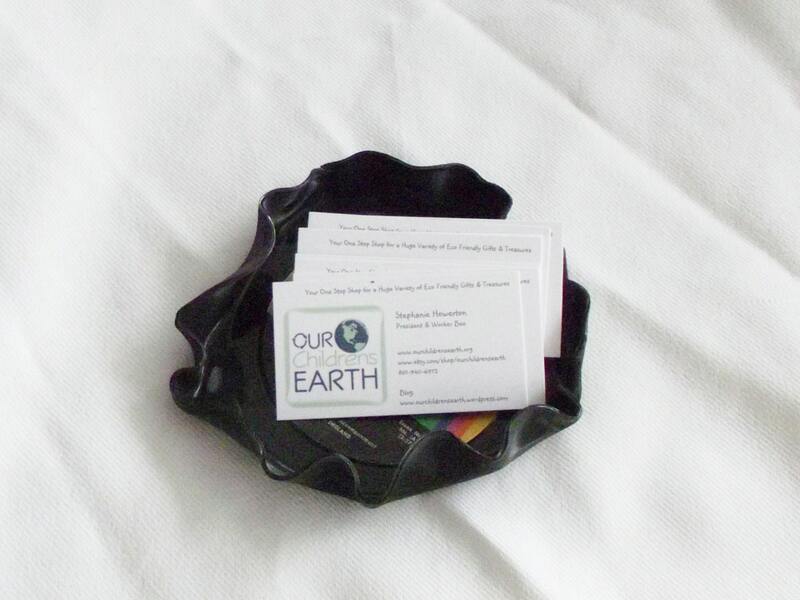 As a company we strongly believe in the reduce, reuse, recycle mantra. 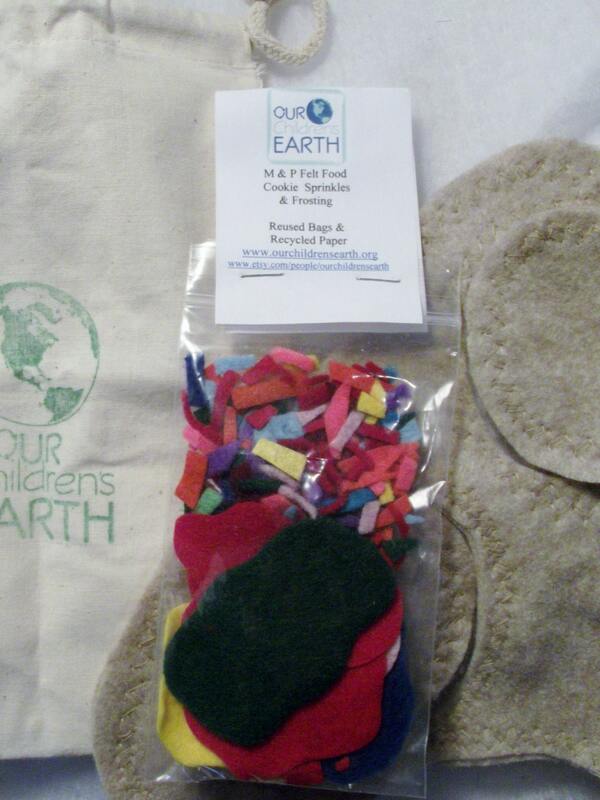 The cookies are made from reused felt or felt that is made with recycled bottles in the USA. Hip Hip Horray it did not end up in the trash but is now a cute cookie for kids to love! All cookie dough is cut in different shapes since we try to not put anything in the landfill. The set you get will look similiar to the one above but not exactly since they are all made individually with love. The set is only $10.75. Please read all shop policies and information before you purchase your item. We are also learning how to ship international so all overages over a dollar will be refunded back to you. Click here for more information on Juice Plus+ ® Products. “Eat more fruits and vegetables.” Over the years, people have found countless ways to ignore that advice. “I don’t have time.” “It’s too much trouble.” Medical science reminds us almost every day that good nutrition and good health go hand in hand, especially when it comes to the healthful benefits of eating fruits and vegetables. Unfortunately, despite the growing medical evidence, less than 25% of American adults eat the recommended daily servings of fruits and vegetables. There is no substitute for eating a wide variety of fruits and vegetables, at least 7-13 servings every day. 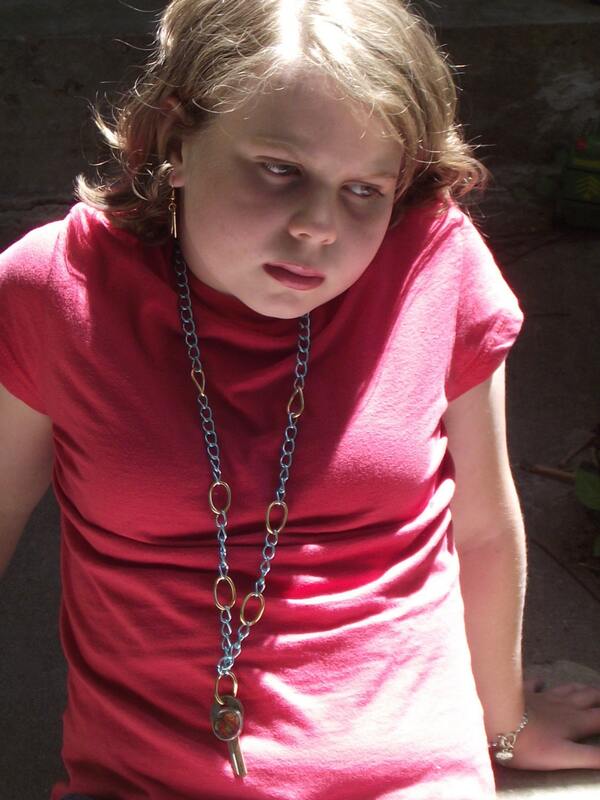 But if you’re like most people, you don’t eat enough fruits or vegetables or enough variety. And those fruits and vegetables that we do eat tend to be over processed, over-cooked, or too far removed from the field. That’s why there’s Juice Plus+. It’s a convenient, affordable, and natural whole food based nutritional product providing nutrition from 17 vegetables, fruits, and grains. Juice Plus+ is not a vitamin supplement, providing a limited number of handpicked nutrients. Juice Plus+ is a whole food based product providing the wide array of nutrients found in a variety of fruits, vegetables, and grains. It’s the next best thing to fruits and vegetables…because we don’t get nearly enough of the real thing every day. They also have available the amazing Tower Garden. 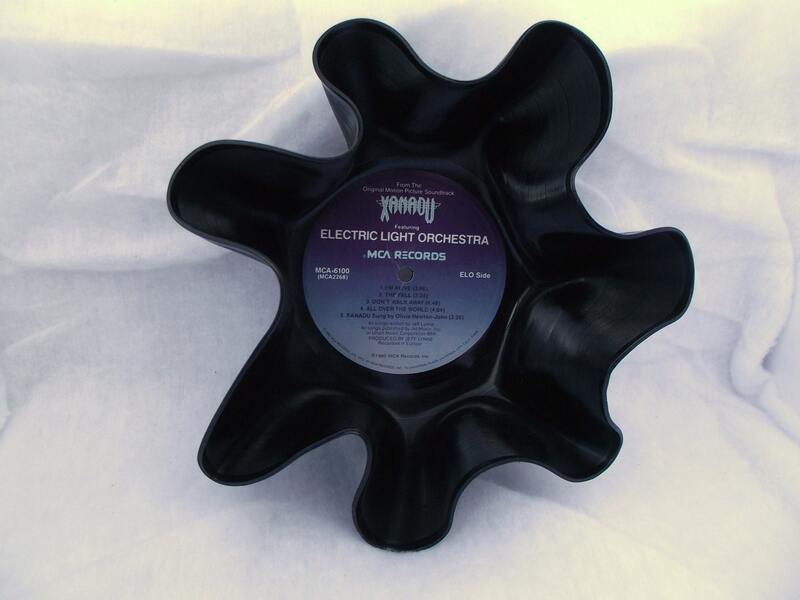 These would make great centerpieces for the cool Wedding, Theme Birthday Parties (Princess, Country, 80’s, Kids, Adult, Retro…you name it) or any party and many more. We currently take paypal, credit card, or layaway. Please make your payment within 3 business days. If you are interested in layaway or other then contact us before you make a purchase. Prior arrangements must be made before we will accept other or layaway. ~Never give young children anything with small or sharp parts (especially three and under) this could cause choking and a bunch of other awful things. terrible things that nobody really wants to have happen to them. ~Any base metal (or any metal not labeled pure gold or sterling silver) may contain lead or nickel and is not intended for children (anyone under 14 years old). If you have questions about a specific item please convo me before purchase as refunds will not be given due to this. 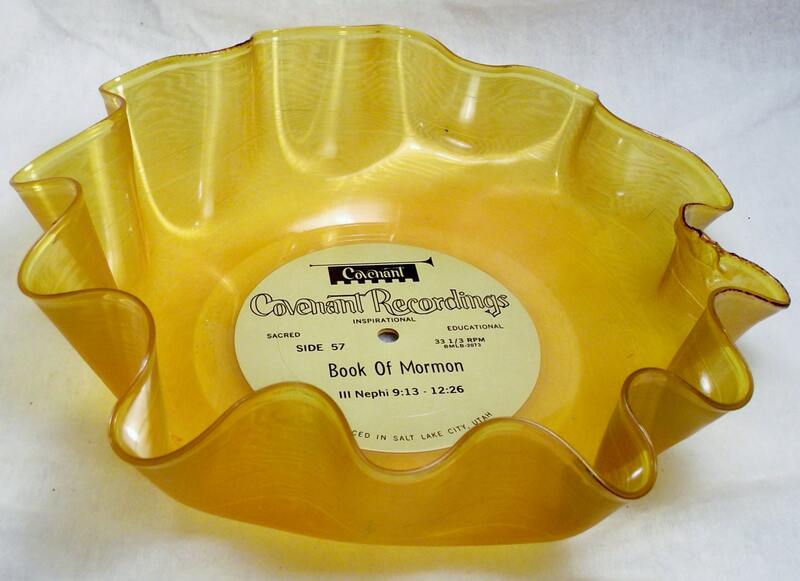 I will accept returns for items to be fixed that have been broken due to manufacturing defect. All items must be returned to me and shipping both ways will by paid by the purchaser. I will repair or replace your item with a similar item. I will not replace or repair items that have been misused or used for unintended purposes. There are no refunds for items that broke during shipping. If you would like your item insured email (convo) me prior to purchase and we can add that to your order. There are no refunds for the color being wrong. If you need a specific color please ask before the item is purchased. I focus on showing pictures with the best colors showing but due to monitors and computers all being different the color on your monitor may be different from the actual item color. Please convo me if you need an exact color so we can work it out before purchase. If you have any questions please ask them prior to your purchase. Shipping for the first item purchased varies depending on weight for shipping and handling. 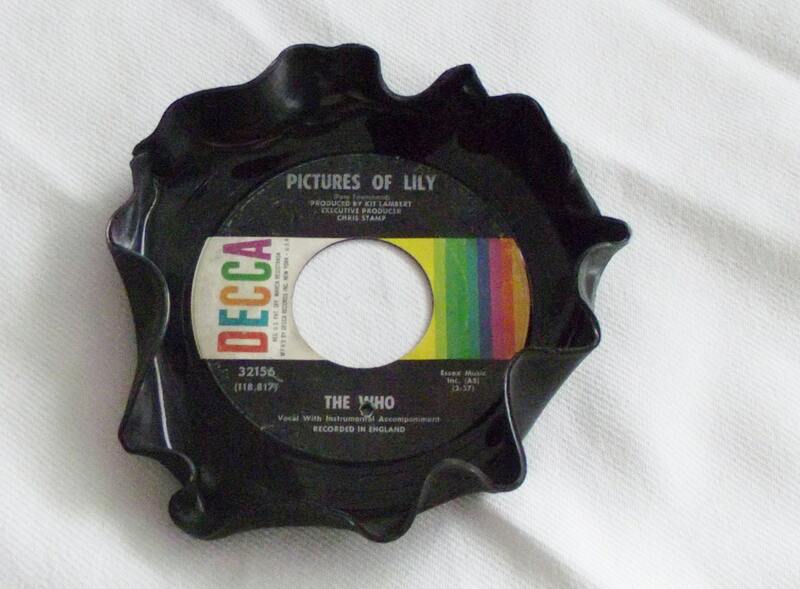 Each additional item will usually only be around $1.00 but varies due to weight of items (see individual listings). I will ship your order in 1 -5 business days (weekends and holidays are not business days) as soon as I receive your payment. Please remember that if this is getting mailed outside of the continental USA then it can take a few weeks to months to travel to you. Please plan ahead for this. If you have a custom made order your shipping time will be discussed so that there is time allowed to make an item. I use First Class, Paypal Shipping and Priority Flat Rate (or which ever mailing method will save you the most money) and tracking (except international). I will focus on wrapping and getting your new treasure safely to you but there are no guarantees with the mail system. If you would like any upgrades like insurance, tracking etc.. then please contact me and we will add that to your total amount due. There are no refunds for items that broke or lost during shipping. If you would like your item insured email (convo) me prior to purchase and we can add that to your order. If you need something by a specific date please email (convo) me before you purchase your item to make sure we can meet your timeline. We ship international but every country varies so we list the highest price. Anything over a dollar will be refunded for international shipping overages. 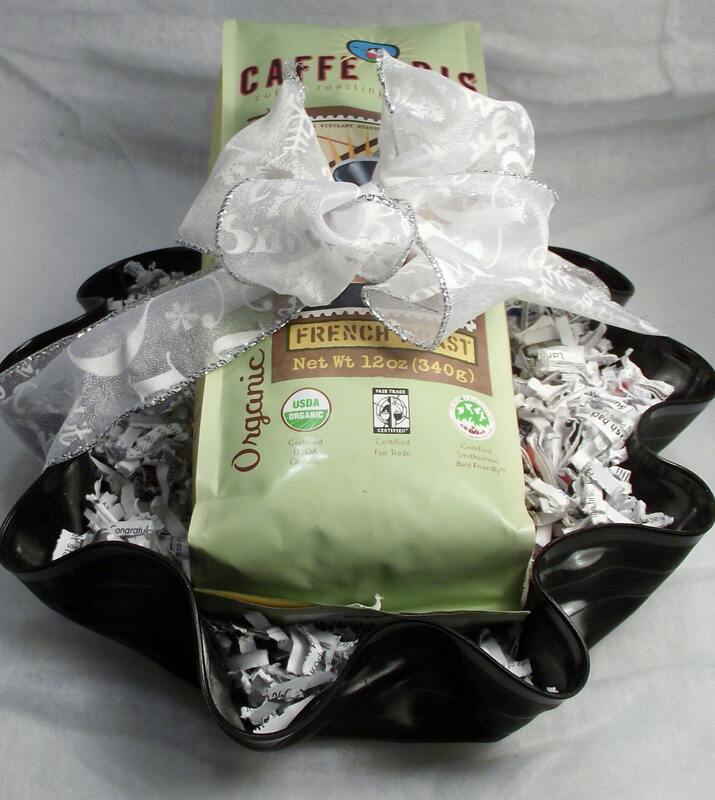 Since we focus on being earth friendly we reuse and recycle as much packaging as possible. As a nice side note, this also helps your shipping cost stay down. These are your new Little Buddy’s. 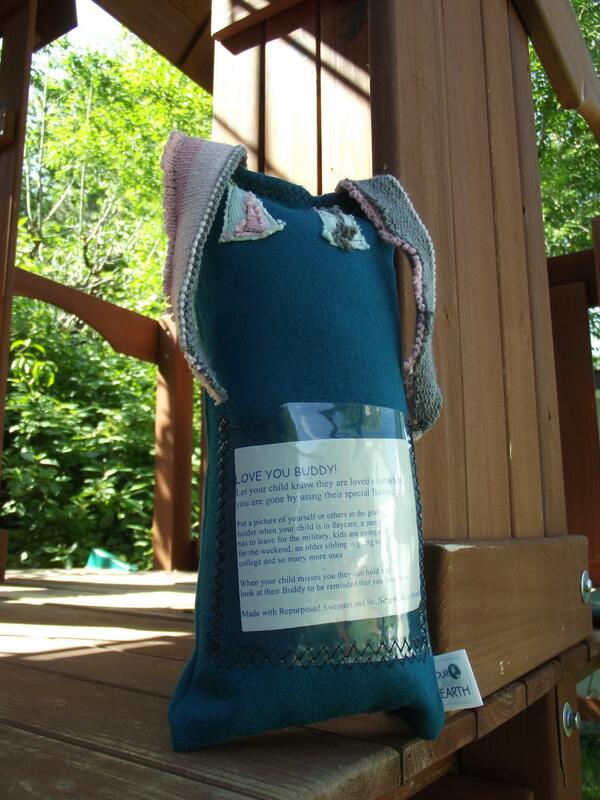 We currently carry three kids “Little Buddy”, “Love You Buddy” and “Cashmere Little Buddy”. Kids of all ages love these little monsters. 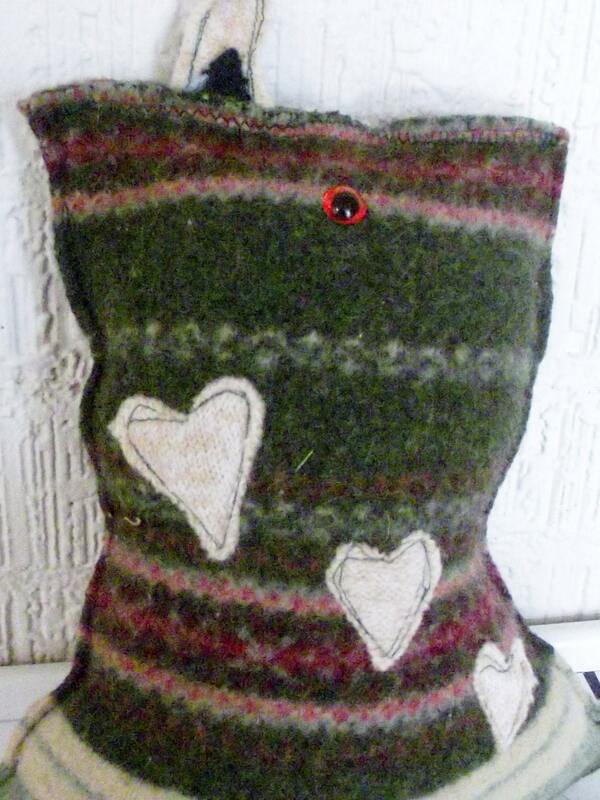 They are made with up-cycled wool or repurposed sweaters and filling that is made in the USA. The plastic on the Love You Buddy’s is made from repurposed plastic visors. See our Etsy shop for our most current Buddy’s: http://www.etsy.com/shop/ourchildrensearth They range in price from $5 to $30. Let your child know they are loved even when you are gone by using their special Love You Buddy. Put a picture of yourself or others in the plastic holder when your child is in daycare, a parent has to leave for the military, kids are going away for the weekend, an older sibling is going to college and so many more uses. When your child misses you they can hold and look at their Buddy to be reminded that you love them! Your Little Buddy just went Luxury shopping and stopped to get Cashmere. These Little Buddy’s are 100% Cashmere and are super soft and huggable. The eyes are child safety but as our usual saying goes…Please donot give any young child (especially three and under, or anyone that might put things in their mouth) anything with small parts as they may cause a choking hazard. Look for Little Buddies with material eyes for younger children. All Little Buddy’s are double stiched to help with all the loving they get and to add some of that fun Little Buddy character. Spot clean all dirty Buddys.